Back in 2003 (or was it 2002? ), while I was still a young, bright-eyed undergraduate, I took a Chicano poetry class at California State University, San Bernardino. This is the thing with poetry: as children we are taught to love poetry, to enjoy the rhymes, the sounds, the rhythms, and story that each poem holds. With each stanza, each line, we could explore the power of language. At least that was my experience. In middle school, teachers tend to avoid poetry, unless of course it’s a state standard. Though to be fair there are those rebellious teachers who say “YES!” to poetry and all its potential. Well, by the time we get to college, many students (not me of course, but other students) were tired of how poetry was taught or not taught and find that they have no use for it in their lives. Like I said, that’s not me. But if you were one of those poor folks that had been turned off by poetry along the way you would have benefited from my Chicano poetry class because in that class we read Michele Serros’ Chicana Falsa and other stories of death, identity and Oxnard and that little book would have turned you back on to poetry and would have even made your toes curl. 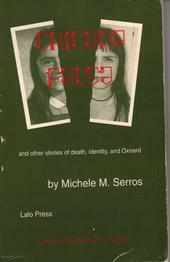 Chicana Falsa and other stories of death, identity and Oxnard, is exactly what the title says it is; stories of death, identity and Oxnard. The humorous poems and short stories are brilliantly written and each is a snapshot of what it means to be coming of age between two cultures, in Serros’ case, Mexican and American. Each poem tells a story and the collection pieces together the identity that is questioned in the first poem, “La Letty” by a “true” Chicana. By the very last piece, “The Gift,” the narrator has come to terms with herself and has built her own Chicana identity, according to her own rules. While she has explained in previous interviews that there is no singular Chicano/a/Latino/a experience, the reason that I fell in love with her work was because when I read it, I immediately said, “Hey! She’s talking about mi familia! She’s using my language! And she’s freaking hilarious” (obviously, I was an articulate undergraduate student). It was an important turning point in my life to read “Dead Pig’s Revenge” and realize that I had permission to use Spanish and English in one poem and that in using both languages the reader could experience that poem in a more complete way. Isabel : My first question is a little broad but I like to ask it: why do you write? Michele: I understand that many people believe that writers write from their heart or from their soul. I write from the nagging pit of my gut, to make the stomachache go away. I: And as companions to that first and broad question, how do you write? How do you get into it? In the morning, evening, afternoon? Coffee, tequila, tea? Etc. M: I wake up as early as 3:30 – 4 am. It’s a relief to jot down ideas/concerns/issues that kept me up during the night. Sometimes I wish I did have a “romantic” vice to accompany me while writing, such as hand rolling cigarettes and slowly smoking them in contemplation, but I don’t. I do like to have melodic music playing low, like Stereolab or 60s French Pop. Any music without lyrics that I can’t understand- so I guess we can addVicente Fernandez and speed metal. I: What makes a work authentic? Does it matter and why? M: I meet many young writers who often say (gloat?) that their writing is similar to (name of famous author here). I understand when one is trying to offer a distinct comparison, but why not carve a new path? Your own path? If you can’t do it differently, why do it at all? I’m still bothered when my work is referenced as the Latina/o version of (name of famous author here). As people of color, the mainstream media/publishing, even our own community relegate us as “versions.” Our work can stand on its own. 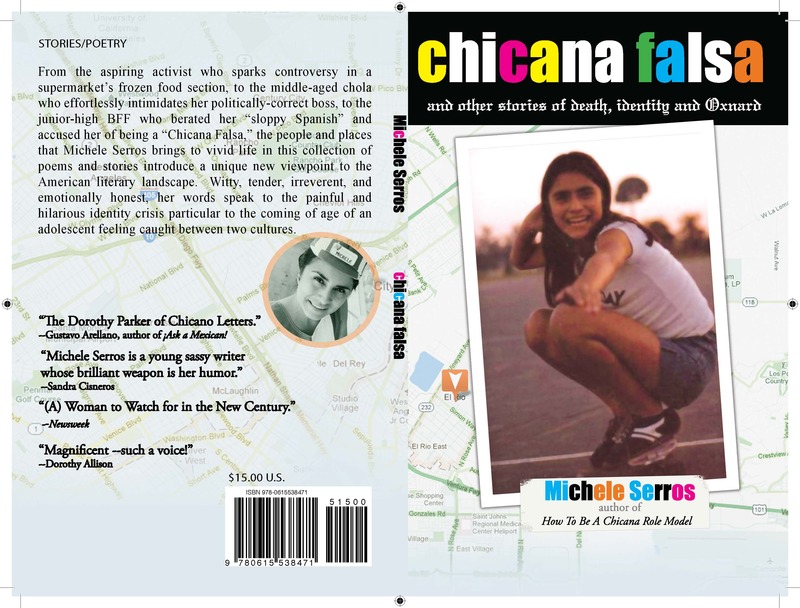 I: Along those terms, do you consider yourself a Chicana author or American author? I: Does it matter in which canon you are placed? Or if you are in there at all? M: I’d like to be placed in the canon of comedy, comedic commentary. Yeah, that works for me. I: I really like that answer. Michele, you have worn many hats as a writer-poet, YA author, script writer – which has been your favorite and with which do you most identify with? M: Most definitely as the writer of short stories and poetry. I can work on a 30 word poem forever and never share it or think about having it published, but for me, poetry is just so satisfying. But I’ve never felt comfortable calling myself a poet. I write poetry, but to actually CALL myself a poet? Nuh uh. Not there. Yet. I: Which is the most authentic Michele? M: The most authentic me would, again, be the voice behind the short stories and poetry. The least “me” would be the script writer and the author of some magazine pieces I’ve written that have been, basically, paycheck pieces. After so many rewrites and editorial suggestions (i.e. changes) prompted by NY-based mainstream magazine editors whom I’ve never met, my voice definitely gets lost along the way. I: Maybe another way of looking (or a better way of me asking) would be in which role do you feel the most at ease with? And why? M: Short story writing. I grew up in front of the television and was babysat by sitcoms. I prefer short funny stories with a message. It still is a challenge for me to focus on one idea for a longer period of time. Sorta like having that bumper sticker that you really like but do you really want to put it on your car? I just can’t seem to commit! 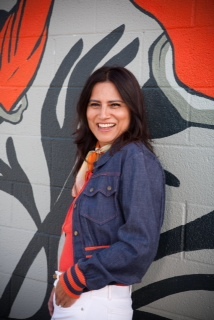 I: Your book Chicana Falsa and Sandra Cisneros’ Loose Woman really changed my life – how I saw myself as a woman, as a Chicana/Latina/American, and the possibilities that existed for me in the written word, both in regards to content and language. What books have changed your life? M: As a teenager, I wanted to be Hunter Thompson, wanted to find my Samoan/Mexican sidekick to travel with and get into crazy trouble. But a book that changed my life? I: Well, if there wasn’t a book changed your life, when did you know you wanted to be a writer? M: Oh, I knew at a very young age I wanted to be writer, an author actually, like Judy Blume or SE Hinton. When my parents were divorcing, I learned how books, stories, provided comfort for my mother. I thought how I wanted to do that – make up stories and stuff that would make people happy or take them away from stress or concern. But regarding a book that changed my life – okay, I’d have to say, Go Ask Alice. Hijole! That book scared the be-jesus out of me. My parents could be rest-assured that their mi’ja would never, ever, do drugs after reading that book! I: Do you have a favorite poet/writer? Do you have a least favorite writer? I: Now I’m curious! But along those lines, which is the favorite of your own works? M: I really like How to be a Chicana Role Model and I like a piece I wrote for Fox News Latino which is about my time as a staff writer for The George Lopez Show. I: And which is your least favorite of your own works and why? M: Ugh. I don’t even want to name it, but I wrote a piece for an online zine that I CRINGE whenever I think about it. I want it to go AWAY. Now. I: I read an article you wrote for Fox from January of last year, “Michele Serros: Latino Themed Writing -101” where you talk about the difficulties of portraying the Latino/a community accurately. One thing I really appreciated in that piece was that you clarify that there isn’t one single Latino/a experience, and it’s a point you have made in other interviews as well. So many times we are forced to see ourselves cholos, farm workers, or mariachis and that is not all we are. While this stereotyping is obviously true for television, I find that this it is true in the book world also. I mean Junot Diaz recently won the Pulizter but that is not common. How much more difficult is it for writers of color to make it? M: Oh! That’s the piece from FOX News Latino that I was talking about! I’ve had quite a bit of luck (combined with a lot of hustle in my late 20s) to get my work accepted. I hear many writers of color who lament how The New Yorker never publishes them or how it’s so hard to get an agent. But when I’ve asked them if they, themselves, have submitted work to The New Yorker or sent out query letters to potential agents, 9 out of 10 times, I hear no. I’ve never tried to get published in The New Yorker, but then again I don’t read The New Yorker, except at the gym or my therapist’s office. What would really mean “the world” to me would be to win The New Yorker’s cartoon caption contest. Now that’s on my bucket list! I: Maybe I am assuming. Maybe it is just plain difficult for everyone who writes to have their voice heard. If it is more difficult, how do we make it? M: Persistence! Very little compromise. But then, be ready to accept the consequences. 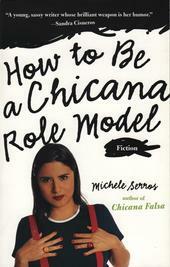 My publisher disliked the title, How to be a Chicana Role Model. I was told it was too confusing, that readers would think it was a parenting guide (! ), but I refused to change it. I was warned that the marketing for the book would be soft. My publisher was unhappy with my refusal to budge, but I wanted to retain “my voice” and integrity. While the book started with a bang- good reviews, LA Times Bestseller – the marketing for the book was indeed soft. Eventually, sales dwindled and a second printing for the book wasn’t ordered. I: Does Michele Serros still get rejections? M: Oh my God. Yes. So humbling. And a good learning experience. I know that sounds cliché, but a lot of times I see my mistakes or laziness or my “rush job” that is so painfully apparent. Embarrassing. I: How do you handle the rejections? M: Hahaha, I go on Facebook and count the “likes” on some little insipid post I placed. Then I call my best-friend. Then I make batch of nachos and eat them all up. Then I watch People’s Court and Judge Judy (they air back to back in Berkeley) and just feel happy that I’m not a defendant on one of those shows. Then I start to feel a little bit better. I: That’s really funny. I’ll have to try that next time I’m rejected. Are you currently working on any new projects? If so, can you share a little bit about them? M: Yes, a new piece; creative non – fiction that takes place in New York City, 2000-2001. Sorta like a “version” (haha) of Bright Lights, Big City, and the film, An Unmarried Woman. I: What advice do you have for struggling writers (such as myself)? M: Not sure what kind of advice is needed? For writing? Publishing? Writer’s block? I: Well, let’s start with, how do we get published? M: This question would best directed to a publisher or agent and at the point of a writer’s career that they actually have something to publish; a product that has a history of research, interviews, drafted outlines, writing, more research, re-writing, more editing, time in a writing group, reading, looking for better writing groups, reading more, watching TV, re-writing, getting pissed off at the comments that members of the writing groups give you, spending time stewing, more research, more re-writes, giving up, watching more TV, teach yourself grammar all over again. I: That actually makes a lot of sense. 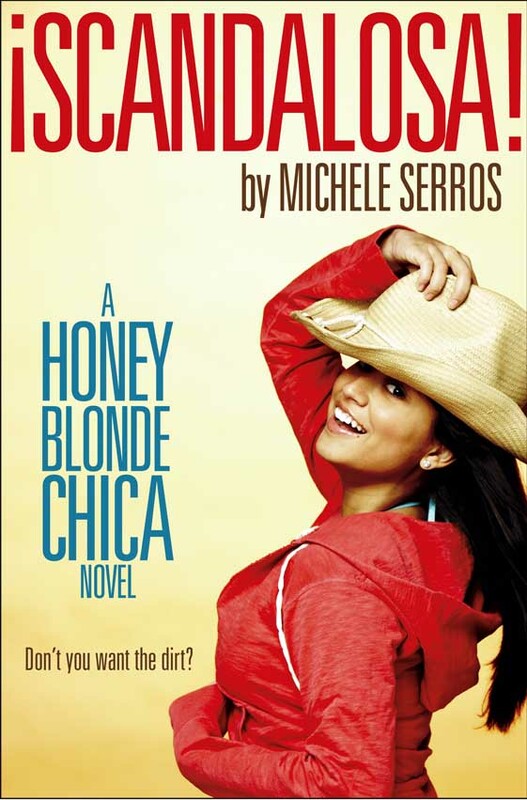 And, how did Michele Serros get published? M: After doing open mics around town (Santa Monica/Westside LA) with the same three poems, I had the opportunity to read the poems at an Open Mic at a Chicana Writers’ Conference at Santa Monica College. After my reading, a man approached me. He said he was a publisher and was interested in publishing my work. I don’t think he was all that serious, but I still kept on him, almost like nagging him to keep his word. The conference was in the spring and I worked all summer in finessing “my manuscript.” I remember I loved telling people that. “So what are you up to this summer?” “Oh, I’m working on my manuscript…” Anyhow, the end result was Chicana Falsa! I: Lastly, are there any questions that you wish someone would ask you but hasn’t? What are they and can you please answer them. M: How large is my record collection? How many skateboards do I have? Which deck is my favorite? Which album is my favorite? The answers will be in Part 2 of this interview. Isabel Quintero-Flores holds a B.A. in English with a concentration in literature from California State University, San Bernardino and will soon hold an M.A. in English Composition from the same university. She writes poetry and is an active member of PoetrIE. I bought the book, How to be a Chicana Role Model, because of the name, I thought I am just going to buy this cuz I like the name. What an interesting, satisfying interview with such a dynamic and inspirational artist! Definitely not the bland, run-of-the-mill author profile we are too used to seeing these days from too many sources who are just “phoning it in”. Thanks for such a great read, Isabel and Michele!